What’s the best thing to do in a new location? Explore! In-between seminars, presentations, and interviews, our awesome duo discovered some stellar new window treatment products that are going to take 2017 by storm, even more than last year. Did you see our trends from 2016? 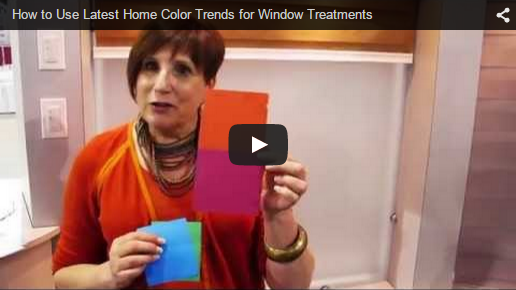 Subscribe to our YouTube channel to see last year’s trends and get updates when we post more 2017’s window treatment trends. Subscribe to be the First to Know! 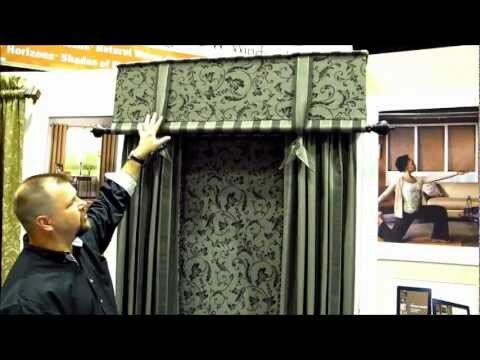 This is only the first of our window treatment trend videos for 2017. We’ll post a new video each month! These stellar motors have been on the Australian market for a while now but just landed in the U.S. in stunning fashion and are the 3 Blind Mice pick for the product of the year. The cloud controlled motor you’ve been looking for. 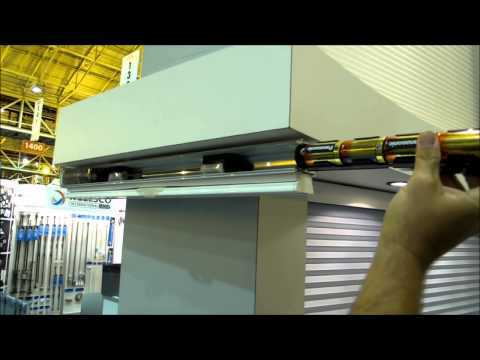 Talk about advancement in motorized window treatment technology. These cloud-based controlled motors use WiFi for two-way communication to your smart devices. Yes, these motors can communicate back to you! What would they say? How about, my battery is currently at 20 percent? OR your window shades are currently in the down position. The cloud-based server allows for more scalability and function. Most companies don’t have these capabilities. Next question, can you hooked these up to Alexa for voice controlled window coverings with Amazon Echo? You bet you can and do way more than that. 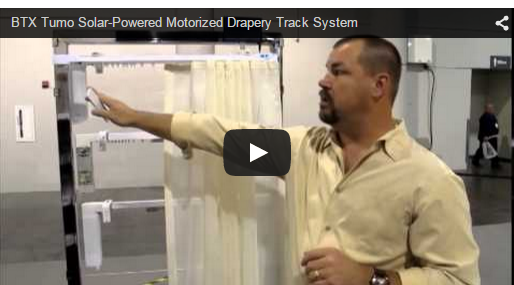 These motors will even work for motorized awnings. How’s that for a fully automated lifestyle? 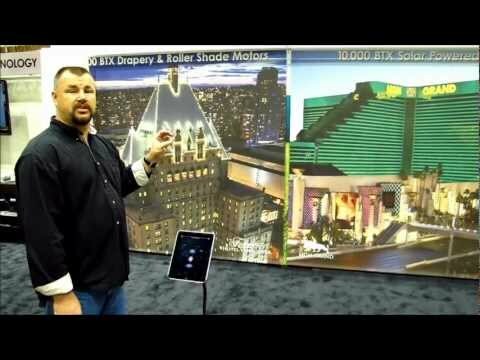 Our very own, O’D, shares with us the features and functionalities of the Comfortex Color Lux Shades. They have put more focus into their designer color palatte in order to provide a large array to choose from. Design meets functionality with their child safe cordless lift system or motorization for at home automation. Their extremely easy to clean, safe around your kids, and designed to match your home’s interior. 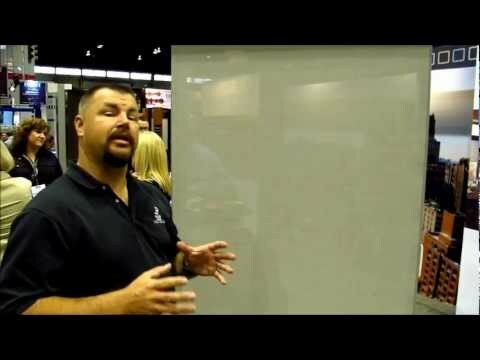 With our head cheese, Scot, handling the camera, General Manager, O’D, shares the beautiful and unique Window Covering Design Competition at IWCE 2017. These are some of the most interesting custom window treatments out there. Each year the designers get more and more creative with their submissions. From custom printed shades and top treatments to iron artwork and custom curtains, everything is allowed to be a part of the layered window treatment designs. General Manager, O’D, showcases the new design technique for increasing child safety by Shading Source. Most child-safe roman shades had been woven together with netted string behind the shade. Shading Source had a different idea with their new roman shades. Instead, they bound them together using a mylar band to remove cords entirely. Ultimately, creating a safer product. 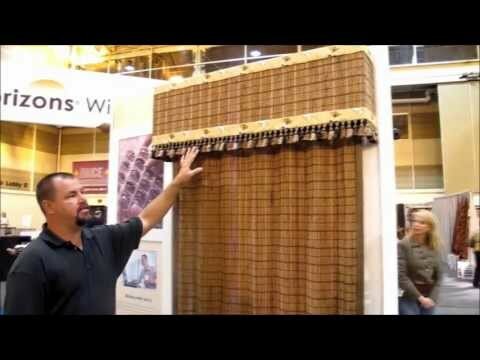 Over the course of this year, we will be releasing videos of what we found as the window treatments trends of 2016 and will continue to update this page. A long time favorite in Europe, Louvolite’s Perfect Fit Blinds have now made their way to the United States and are 3 Blind Mice’s product pick of the year. 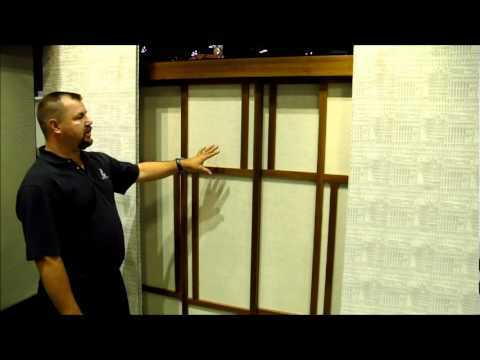 As you saw in the video above, they are one of the great window treatment ideas for doors. Their surface mounted functionality work perfect for a vinyl replacement door, where no there is structural support to hold a typically affixed window covering. 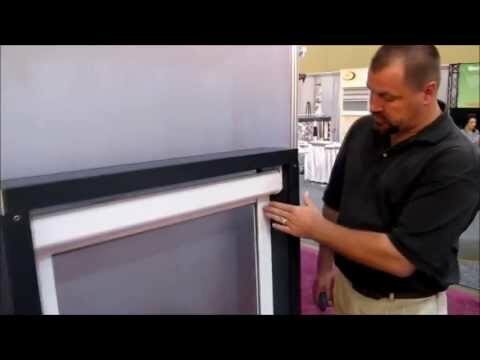 This innovative installation technique is quick, easy, and works flawlessly on European style windows, which are normally difficult to cover with traditional window treatments. They are available in a wide range of fabric colors and textures for both cellular shades and roller shades, making customization endless. They’re easy to snap off to clean, leave window sills uncluttered, and with their cord free control functionality they are one of many child safety window treatments. Add energy efficient fabrics and reduced light gaps for optimal privacy and you should understand why this is our selection for favorite product of the year. For all you business owners, your custom window coverings have finally arrived. 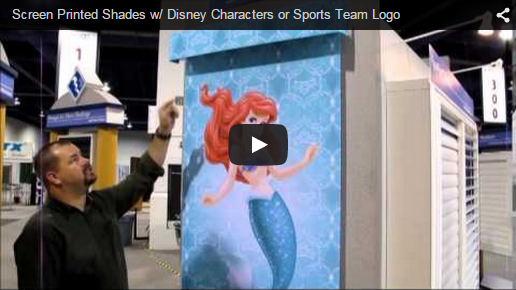 Custom Branded Roller Shades by ShadeGrafix are a roller shade product that is completely customizable and can be altered to meet your promotional needs. 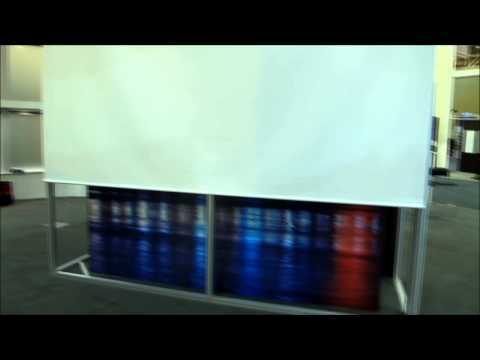 As you saw in the video above, add a custom branded roller shade to customer facing windows with your latest promotion. Their dual usage allows you to combine style with functionality. From an inside perspective, they have a nice clean look while getting the effects of the solar screen to block out the heat and glare. When the shades are down, you have an advertising effect from the outside drawing customers to your business. Designed for commercial use, but the application is limitless. They can easily be removed and replaced with whatever seasonal promotion or image you’d like. You don’t have to be a business owner to love this customizable product. 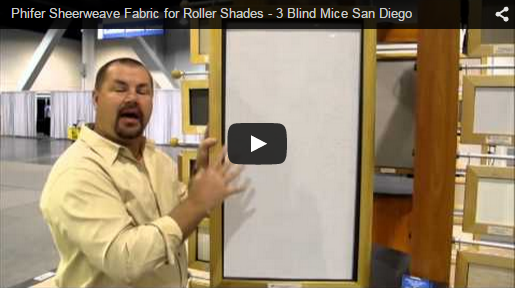 Create custom branded roller shades for any occasion. 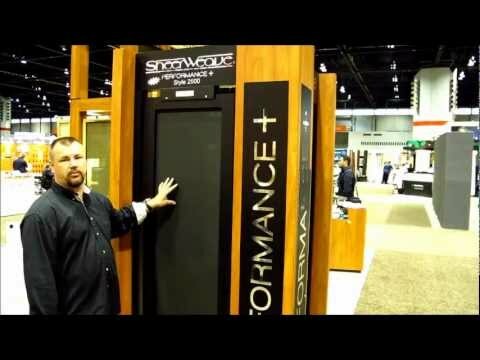 Our very own, O’D, shares with us the features and functionalities of the BTX Silent Spirit motor system. 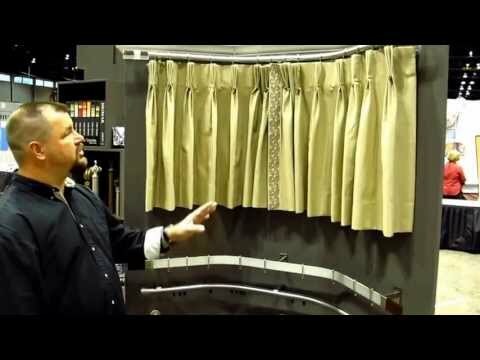 The unique motorized system is designed for soft treatments, draperies, and custom curtains. What makes it so special, is that you are able to activate the motor by manually drawing back the curtain. Head cheese and owner, Scot, explains the aesthetics and features of Padded Cornice Boxes. Their customized designs are created to compliment any style of window treatment from blinds to shades. They can cut, shaped, and decorated to compliment your personal style and existing home’s decor. 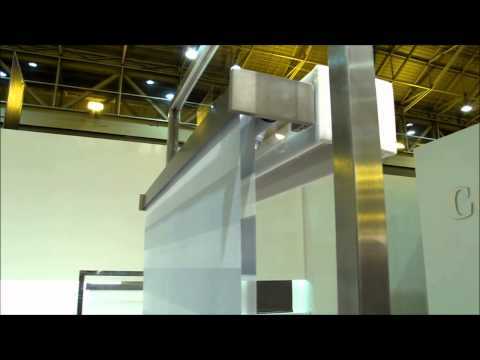 General Manager, O’D, walks us through a unique vignette design at IWCE 2016. The designers artistic abilities really shine through in her selection of fabrics, LED light installations, and iron art. 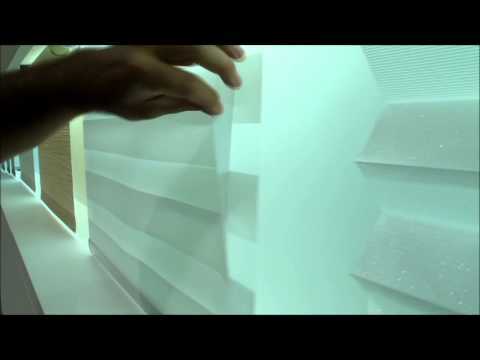 The design is so unique, it is hard to believe you can do such things with window coverings. 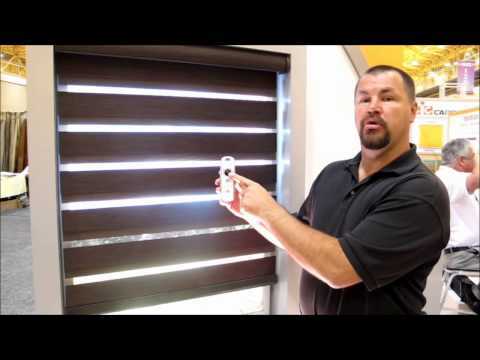 Watch as our General Manager, O’D, explains the various types of motorized roller shade hardware you can incorporate into your window coverings. 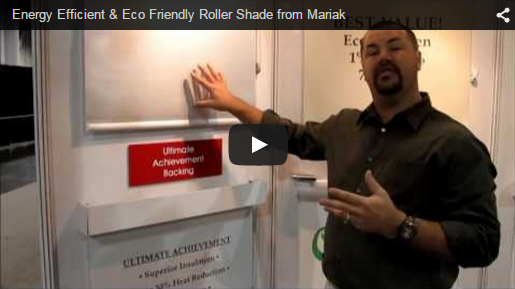 From color, style, and size to product, shade length, & motor size, he tells all. He also talks about aspects you typically don’t think about, such as cassettes & fascias. 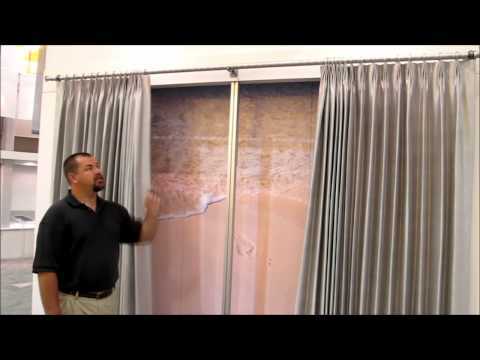 General Manger O’D Kewan walks us through Louvolite’s One Touch Motorized Roller Shade system. 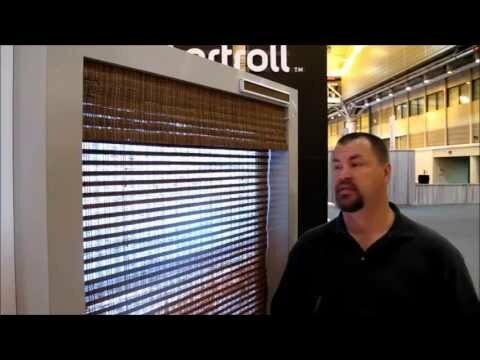 What is unique about this motorized roller shade system, is how one can control it. It is great for those high to reach windows and even better if you are worried about losing the remote control. 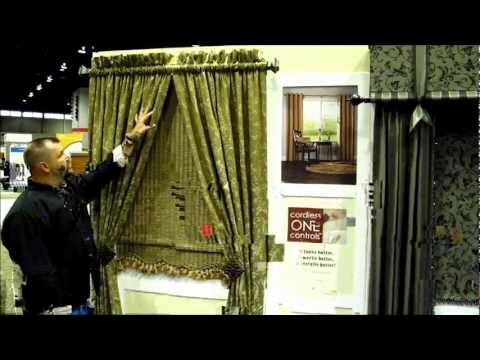 At the International Window Covering Expo, every year they have a decorative drapery display competition. Designers get really creative with their designs. Our General Manager, O’D, talks with one of the designers about her Steampunk Serenade Vignette Design & what she decided to use in her design. With a brand new microphone and our trusty video camera in hand, we roamed the IWCE floor speaking with manufacturers and vendors from around the world. After filming more than 30 videos of the latest in window treatments, we have seen several distinct window fashion trends emerge and will be recapping our findings on this page over the course of the year. 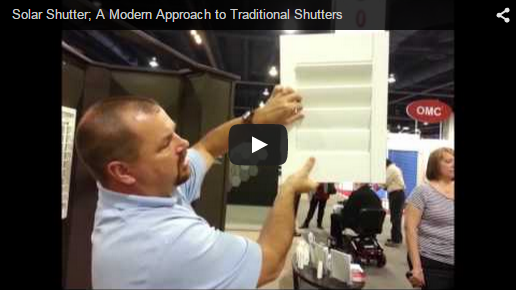 Motorization for window treatments is all grown up! We are proud to report you no longer need an electrician or construction contractor to retrofit your windows for motorization. 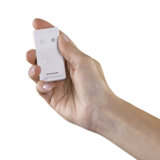 The newest technologies for motorization, including battery powered options, simplifies installation and ensures whisper-silent functionality. 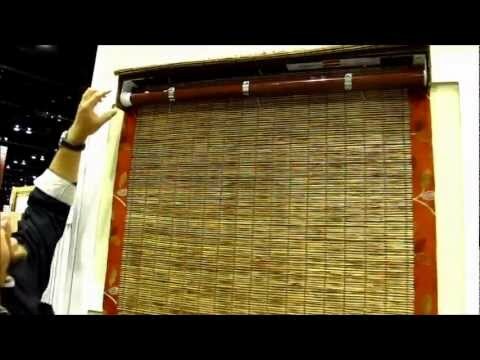 Motorized window treatments are the next step to a technologically connected smart home. 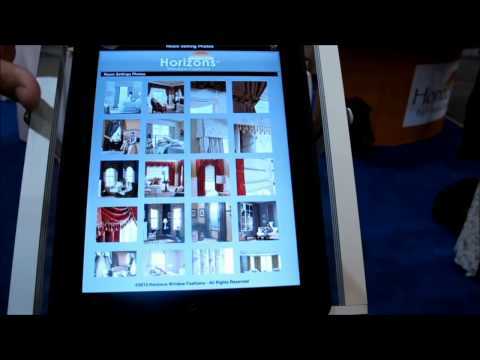 Many integrate with home automation systems like Nest, which are growing in popularity. 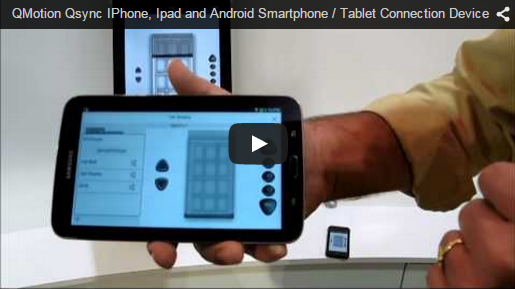 You also have the ability to control everything straight from your phone or tablet! Simply install the corresponding apps to your phone and suddenly raising and lowering your shades is as easy as sending a text message. Dangling cords are a dangerous feature of many blinds and shades. This year we were pleased to see child and pet-safe window treatments are now the standard, rather than just an upgrade option. Many new window treatment designs feature clean lines and have done away with cords entirely for a chic, child and pet-safe option. As designs mature, cord-free functionality is becoming more and more reliable. Previously many cord-free options would often become stuck or bunched and require extensive repair. New technologies allow for better functionality and safety without the hassle. Other popular child-safe options include motorized shades, curtains, shutters, and roller shades. Window treatments that do double-duty by offering privacy during the day and light blocking at night is one 2014 trend we haven’t done away with! This two-in-one design offers extreme functionality and artistic design, perfect for modern interiors. 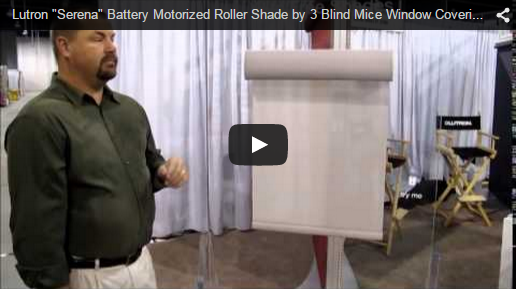 Two in one shades are available both in manual and motorized versions such as the transition shades from Qmotion. While functional, these shades have a focus on aesthetically pleasing design featuring contrasting colors and multiple layers. These shade styles offer more of an artistic interior design touch and an opportunity for expression within the home. We noticed the trends continue to shift toward more energy efficient designs for home. Exterior shading solutions are becoming increasingly popular and many new constructions feature built in window treatments. Outside shutters and blinds protect your home from the harsh rays of the sun during the summer while preventing heat escape during cooler weather and at night for better energy efficiency. These solutions help maintain temperature while decreasing energy bills. Design, efficiency, and functionality is what you get with today’s exterior shutters that have been influenced by European style and innovative designers. 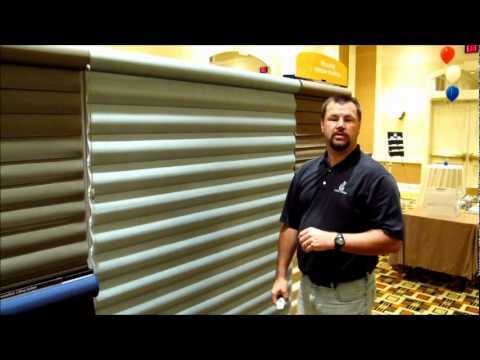 Our favorite product coming from this new trend is the Aluminum Shutter/Blind from Insync Solar and we will be putting up a video review of this product shortly. 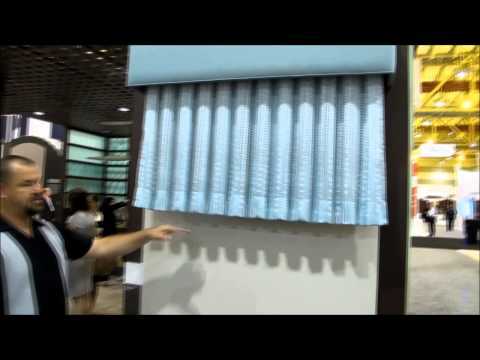 Another trend in window treatments for 2014 that we saw a lot of at this year’s show were TONs of new options for customizing and personalizing drapery hardware and accessories. Personalization and window accessories seem to be an upcoming trend that combines interior design and functional design. 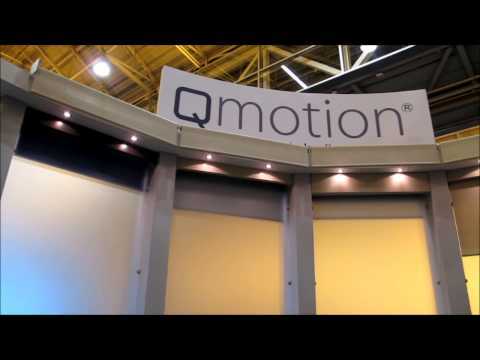 This year, we went to the 2013 International Window Coverings Expo in New Orleans to discover the latest window treatment trends among top brands like Qmotion, Lutron Kirbe, Horizon Shades, and Somfy. View the latest window fashion trends from child safety features to roller shades and more in the videos below. 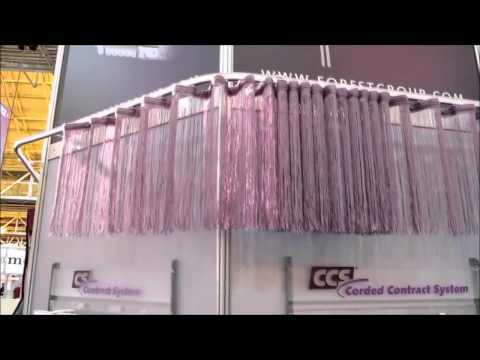 In 2012 the International Window Coverings Expo was held in Chicago. 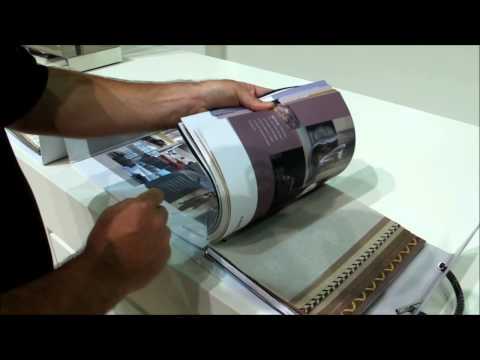 At the show, we explored the latest window treatment trends from main brands like MechoShade, Qmotion, Lutron Kirbe, Horizon Shades, and Somfy. 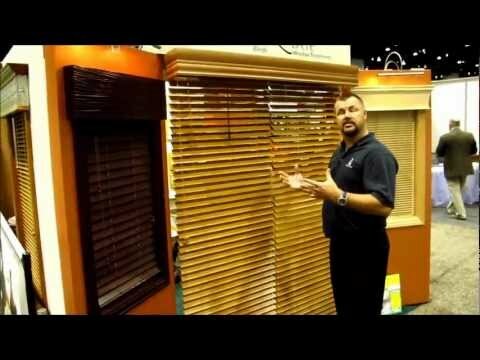 Check out the 2012 window treatment trends from battery powered blinds to multi-layer window covering designs in the videos below! 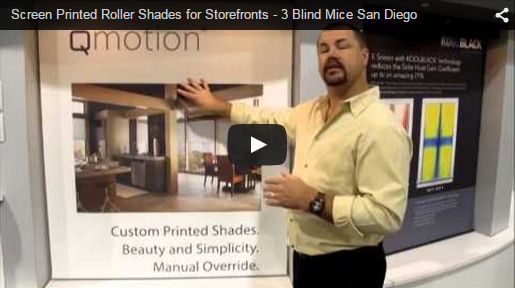 Motorization is definitely the 2015 Big Trend in Window Coverings. Followed closely by the Cordless Headrail Mechanism.